The Toronto Maple Leafs paid tribute to hall of fame goaltender Johnny Bower on Wednesday, calling him a "legend" who lived with a spirit of generosity that touched generations of hockey fans. 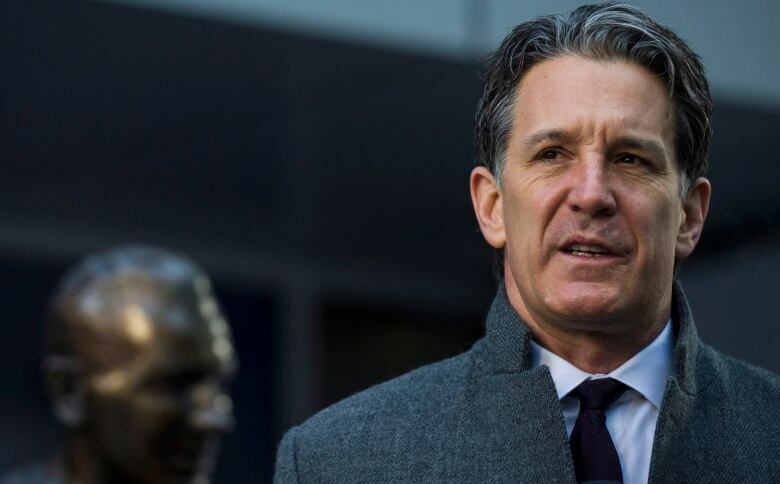 "Johnny loved being a Leaf," said Brendan Shanahan, the franchise's president during a morning news conference in Legends Row outside the Air Canada Centre on Wednesday, which includes a statue of Bower. "There's not a single player in Toronto Maple Leafs history that has done more appearances or more charity events and charity work than Johnny Bower," Shanahan told reporters. Bower, 93, died Tuesday after a short battle with pneumonia, according to a statement from his family. Shanahan said the team is trying to respect the family's privacy, but that it will likely honour Bower in a fittingly grandiose fashion some time in the new year. The two-time Vezina Trophy winner as the NHL's top goaltender toiled in the American Hockey League for 13 seasons before earning a permanent spot in 1958 with the Leafs. With his name engraved on the Stanley Cup four times, Bower retired at 45 after playing one game in the 1969-70 season. Bower was also a member of the Leafs' last Stanley Cup title, in 1967. "Not too many people in sports have a name that becomes a verb," Shanahan joked to reporters. 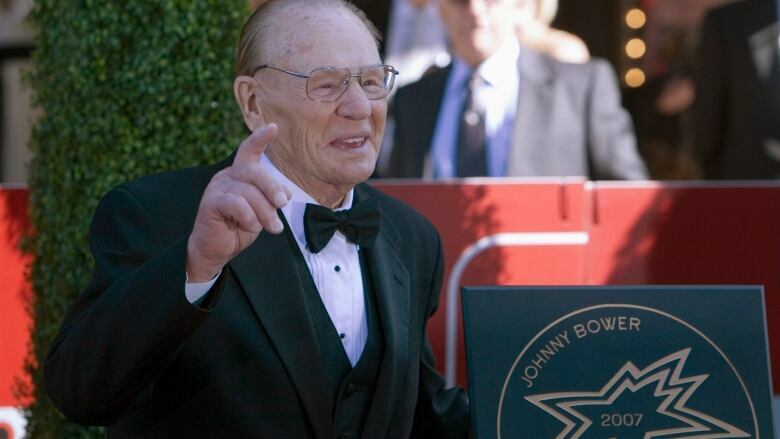 "When you're playing street hockey and you poke check somebody you yell, "Johnny Bower! 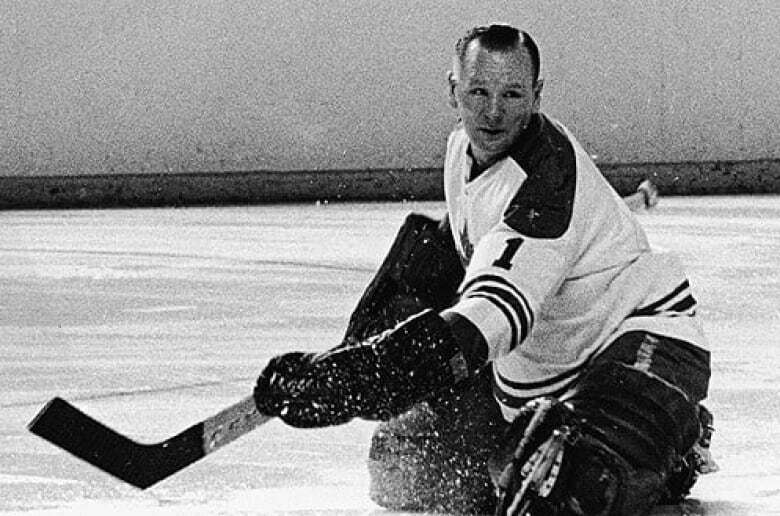 I just Johnny Bower'd you.'" Shanahan grew to know Bower more personally in recent years and stressed that beyond public appearances and charitable work, he did much for fans privately as well. His legacy will live on, Shanahan said, because there are those who remember him as a player and many generations after who know him for his amicable attitude with fans and impeccable professionalism as a face of the franchise. "He was a legend in the sense that you didn't have to be living in Toronto or working for the Maple Leafs to know about his spirit and hear the stories of his generosity and his charity," Shanahan reflected. Friends and Leafs alumni echoed Shanahan's speech on Wednesday. 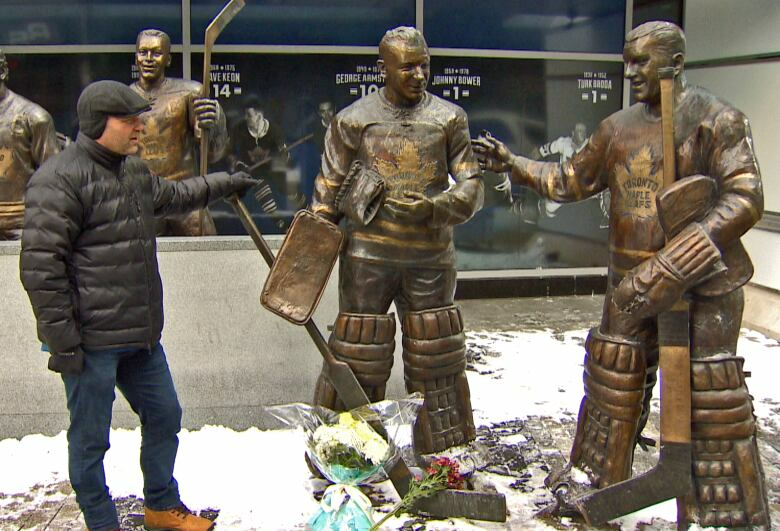 Wendel Clark, iconic ex-Leaf himself, paid tribute to Bower at the goaltender's flower-strewn bronze replica on Legends Row. Clark, like Shanahan, recalled Bower's tireless community work. "He'd come out with the most energy. He'd be there full force, early in the morning or late at night," Clark said, referring to Bower as the "greatest Leaf" both in and out of uniform. Hersh Borenstein, a family friend who collects hockey memorabilia, agreed. "They don't make 'em like Johnny anymore," he said, remembering the man who became his "surrogate grandfather." Borenstein got a call from Bower's daughter when he first fell ill. "She said if he lives through the day he's going to be a different person coming out. He never got better." The next call from the Bower family informed Borenstein of the loss of his mentor. He responded with stunned silence. Bower's friend, like countless others who knew him, recalled a man so selfless he would do anything for a fan, neighbour or loved one, from endless photos with strangers to shovelling the family driveway with a cracked rib. Even though he led the Leafs to glory, Bower will be remembered for much more, said his friend. "I never saw him play," Borenstein said. "Most people didn't. He was a legend off the ice."